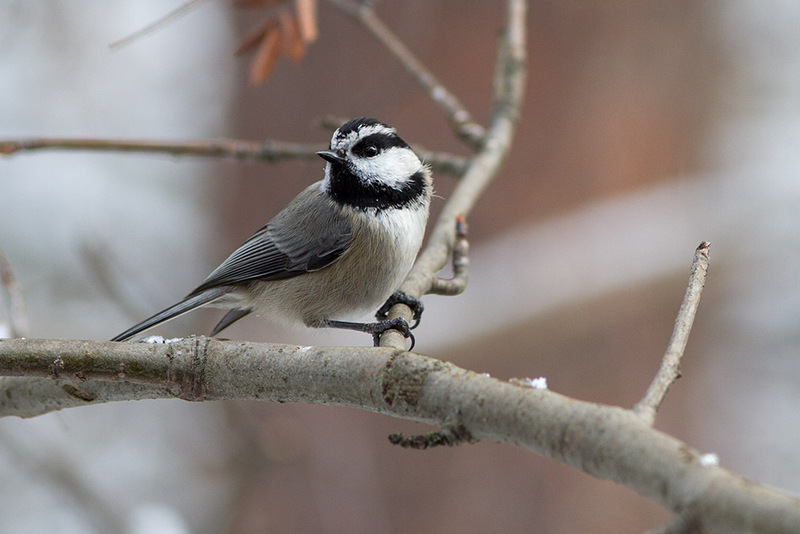 I was on my deck trying to get a picture of some birds with snow capped Mountain Ash berries in the background, when I noticed that there were two species of Chickadees swooping in to grab a sunflower chip from the feeder. 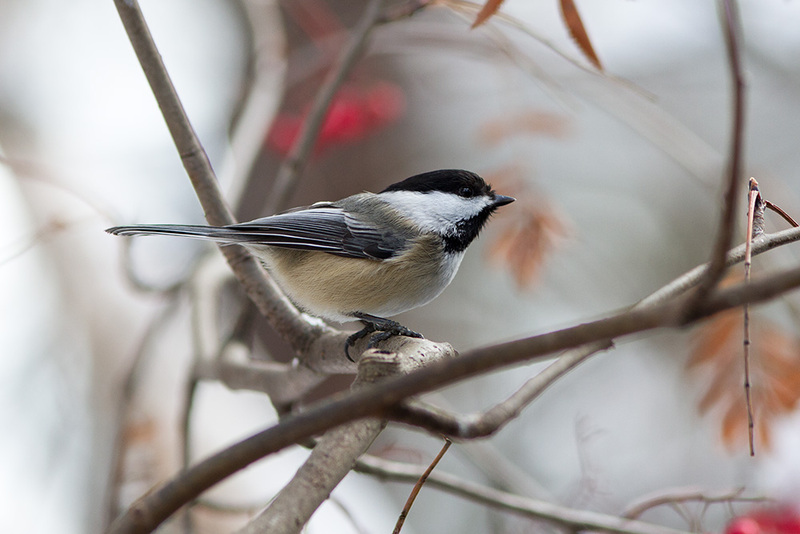 I couldn’t recall ever seeing the smaller Mountain Chickadee at my feeder before. Of course, it is easy to take home birds for granted. You see them every day. And we have lots of red breasted nuthatches that have such a bold eye stripe.